Hello! 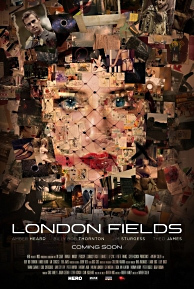 The first official poster of the movie “London Fields” released recently on official social network pages of the movie.  You can check it here in HQ. I love this poster that is featuring Amber! Also, you can read the story of the movie below, if you didn’t do it already! Amber Heard plays the ultimate eternal sexual femme fatale (Nicola Six), possessed of unusual beauty and hypnotic magnetism. Mysterious and clairvoyant, she sets a plan in motion to fulfill the prophecy of her own murder. Caught up in Nicola’s plan are a terminally ill writer (Billy Bob Thornton), a lowly street hustler (Jim Sturgess) and an unhappily married banker (Theo James), who become intertwined in a love triangle that unfolds in the grimy underbelly of London. Samson convinces Nicola to let him document her manipulations in a book she says will be his literary masterpiece but only she knows who the tale will end and who her killer will be. The film is produced by Chris Hanley of Muse Productions, Jordan Gertner of Hero Entertainment, and Geyer Kosinski of Media Talent Group. A co-production with Demarest Films, the film will be ready for release next year and IM Global is handling worldwide sales. Mathew Cullen makes his feature directing debut on the adaptation of the futuristic murder mystery that Martin Amis adapted with Roberta Hanley. Below you can like the official Facebook Page of the movie, to be sure to check all the official latest news of the movie, and to win tickets, autographs, and more soon! Please, like it now!